 This information was compiled and written for the OzFootball archive by Tony Persoglia. 2 15-Feb-97 H Olympic Village Fawkner Blues W 4-2 Sherifovski ?, ?, Alexiou ?, Mihaloglou ? 9 12-Apr-97 H Olympic Village Sunshine Georgies L 2-3 Hasler 28, Biskic ? 10 20-Apr-97 A MacPherson Park Melton Reds W 3-2 Anastasiou ?, Svigos ?, Sherifovski ? 13 11-May-97 H Olympic Village Port Melbourne Sharks W 4-1 MacNicol ?, ?, Jugovic ?, Karapatsos ?